Want to share your own experience with us? Send us a note to let us know what working with FLREB, LLC has been like for you. We can’t recommend FL REAL ESTATE strongly enough. They were friendly, professional and approachable from the minute we called asking for an appraisal right until completion. As first time sellers they made the process fast and simple, any questions we had they were happy to answer. Eitan always addressed my questions professionally and in a very timely manner. Working with him was a pleasure and would come with my recommendation. If you want a reliable, friendly , knowledgeable, and most of all fair priced with a quick closing to buy your burden property. 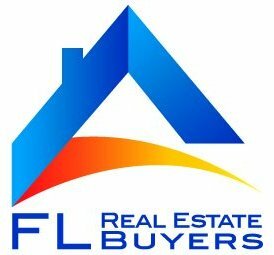 I would recommend going with Florida Real Estate Buyers . I was very impressed with how quick the process went with our estate sale. I especially want to thank Eitan. Thank you for making everything hassle free. Recently sold a townhouse to Eitan, and have zero complaints. I found Eitan to be courteous, professional, reliable, and an all-around pleasure to deal with. The entire process went very smoothly, it was a win-win for both of us, and I very much recommend speaking with him if you have a property in which you prefer to sell in an expedited fashion. I would like to add that it was a pleasure working with you on this matter. Everything was done honestly, professionally, and quickly. I would certainly be happy to recommend you and your company to any interested party.